The stories MobLab’s network read and shared in 2014 cover campaigning trends, breaking down silos, “New Power,” the rise of online video and more. We just took a quick look in the rearview mirror, and of more than 80 (!) stories posted here in 2014, these are the 14 articles you shared and viewed most. Our aim is to surface lessons and innovations that serve campaigners, mobilisers, practitioners, and anyone working to make people-powered social change efforts more effective. So we hope you’ll let us know which stories you liked best so that we can deliver even more of that for you next year. The Story of Stuff team has been producing some of the most innovative video-driven campaigns since the launch of their namesake video in 2007. In late-2014, Story of Stuff kicked off a values-based approach to activist engagement and training that uses a 7-question online quiz to help people identify what type of changemaker they are. Platforms that allow anyone to start a petition and run their own campaigns seem to be everywhere. But how do these “grassroots-led campaigns” platform actually work and what kind of impact are they actually having on the world? Those are just a couple questions we sought to answer in our report on Grassroots campaign platforms released in January, 2014. Calls for racial and social justice grew louder – and more powerful – across the United States in 2014. People from many backgrounds and different parts of the country converged on Ferguson, Missouri, in October for four days of marches, rallies, sit-ins and prayer meetings. We talked to a group of climate activists about their experience in Ferguson and why justice for all is critical for environmental protection. In the December, 2014, edition of Harvard Business Review, Jeremy Heimans and Henry Timms shared an essay on “New Power” – a look at how the power of crowds is changing advocacy and business. We took a look at how campaigners may think about and apply the ideas Heimans and Timms raise. The Mobilisation Reader includes a dozen must read articles covering networked mobilisation. We expect the list to keep growing but each of these pieces are likely to remain invaluable for years to come. You’ve heard about Lean Startups and maybe even the term “Lean NGO.” But what do Lean practices actually mean to campaigners and organisations? Matt Kelley, Rachel Collinson and several other practitioners gathered at this year’s Web of Change to talk about their experience implementing lean startup methods in NGOs. Lucky for us, they shared three key takeaways here. MobLab’s Benjamin Simon wrote up a four-step process for creating online content that the Internet loves to share. Here’s how you identify awesomeness, make it shareable, distribute it across the social web and analyse the data your content produces. What started as a quest to find how best to organise campaigns pivoted to a new theme critical not just to Greenpeace staff but those in any organisation: How do we work together seamlessly across teams to maximize our power? 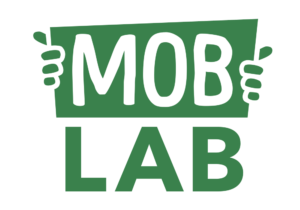 The Mobilisation Integration Toolkit pulls together dozens of case studies about building shared visions, executing on vision and working together successfully over time. In July, Ben Hewitt and Hannah Lownsbrough of Save the Children shared key trends in campaigning. The result is a great overview of neuro-campaigning, leaderless movements, local campaigns having global visibility (and impact), and the gradual (and worrying) shrinkage of public space for campaigns as governments clamp down on open communications. Great campaign case studies and learnings have bubbled up at every Digital Mobilisation Skillshare. This year was no exception and a session about powerful online video became one of our most-read stories of the year. Play “Forest Guardians” and help track illegal logging in Argentina. W pulled together first-hand notes, anecdotes and smart opinions from field testing dozens of campaign apps and tools. A July, 2012, article by Darren Barefoot analyses the performance of 1,000 Facebook posts from 20 of North America’s largest environmental NGOs. And it remains one of the most read articles for campaigners. Over 130 changemakers from across global Greenpeace and several partner organizations gathered near Rome in February, 2014, for the third Digital Mobilisation Skillshare. 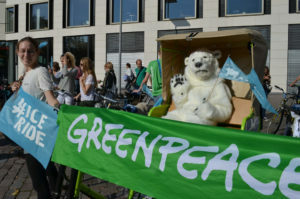 The participant-led event included sessions ranging from crowdfunding to online video to Google ads to learnings from the campaign to release the Arctic 30. 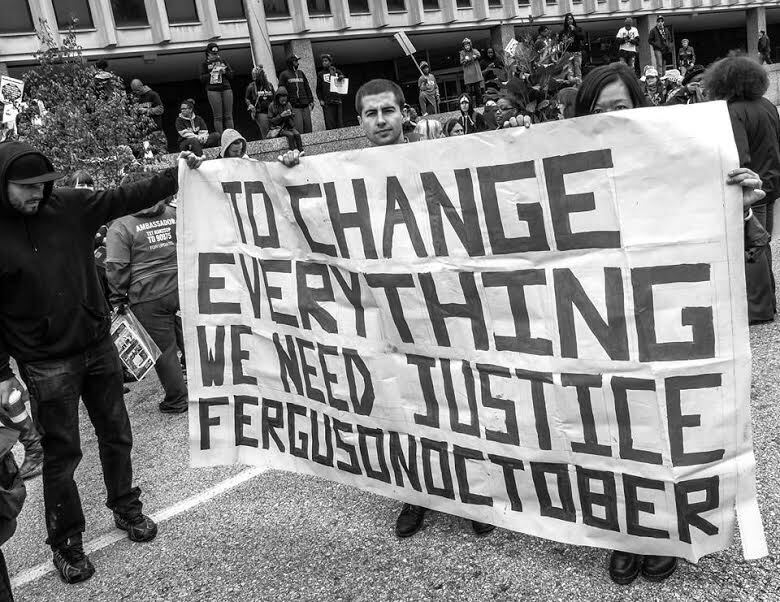 Top photo: Climate activists at Ferguson October. Photo by Pia Ward.